Gogo Olive KNITS recognises the sense of purpose and worth that having employment brings. The most needy women are identified and Gogo Olive now empowers over 60 knitters around Zimbabwe. Each product is completely handmade and unique and comes with its own swing tag to tell you their individual name and who they were knitted by. Gogo – is the Shona word for Grandmother, but she doesn’t need to actually be related to you, any mature woman can be your Gogo! 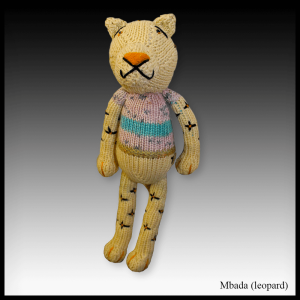 The name of this knitted animal, Mbada, means leopard in the Zimbabwean Shona language. 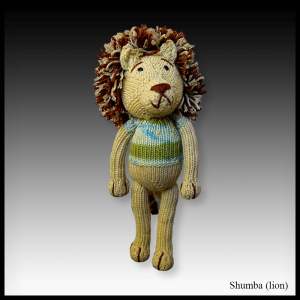 The name of this knitted animal, Shumba, means lion in the Zimbabwean Shona language. 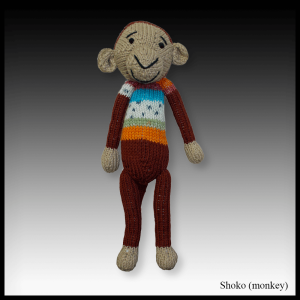 The name of this knitted animal, Shoko, means monkey in the Zimbabwean Shona language. 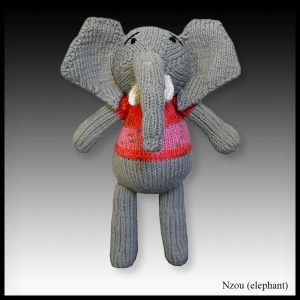 The name of this knitted animal, Nzou, means elephant in the Zimbabwean Shona language. 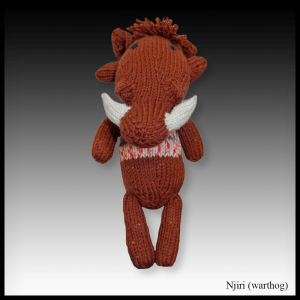 The name of this knitted animal, Njiri, means warthog in the Zimbabwean Shona language. 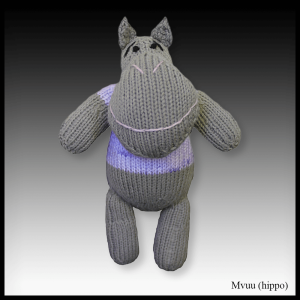 The name of this knitted animal, Mvuu, means hippo in the Zimbabwean Shona language. 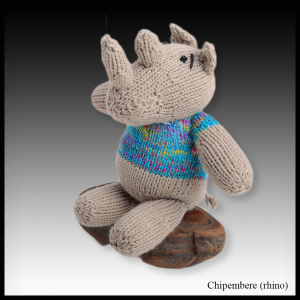 The name of this knitted animal, Chipembere, means rhino in the Zimbabwean Shona language. 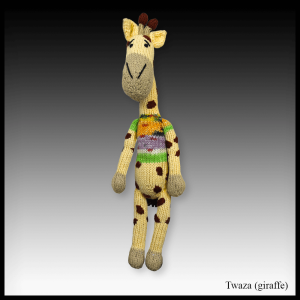 The name of this knitted animal, Twaza, means giraffe in the Zimbabwean Shona language.